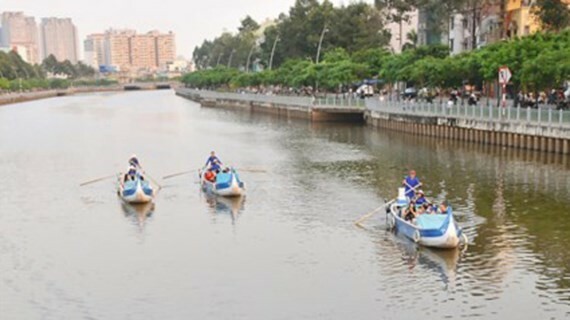 People’s Committee in Ho Chi Minh City has issued a plan to develop river tourism plan for the period 2017-2020. 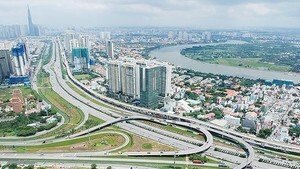 The plan targets to setting up at least seven river tourist programs by 2020, connecting the city harbor with route in rivers Sai Gon, Dong Nai, Nha Be, Soai Rap, Long Tau and city canals. It is planned in 2017 and 2018 to have 450,000 tourists a year traveling on rivers and the city’s river tourist turnover can reach VND540 billion yearly, an estimate increase by 15 percent in following years. The city hopes to attract 470,000 international travelers in river cruises in 2017 and 2018, an increase of 12 percent - 15 percent in next years. Additionally, the city expects to earn VND1,220 billion a year of turnover from ship tours in sea and the turnover will surge by 12 percent in next years. River tours in short distance less than 10km include boat trips to Binh Quoi in Binh Thanh District; Nhieu Loc -Thi Nghe canal tours. In addition, the city plans to develop new river tours such as tours to district 7 departing from Bach Dang Wharf in District 1 to Phu My Hung new urban in District 7; tours through districts 5, 6 and 8. To develop these river tours, the city has spent money on constructing wharves and services, means of transports and automatic representation in boats. The city is determined to improve quality of river ships to Cu Chi and Can Gio. The city has called for social contribution to river vessels and wharf construction including building Bach Dang wharf. City administration has encouraged Starbucks, McDonald’s to invest in coffee boat and artistic light program at nights with performance of water music in Sai Gon River.